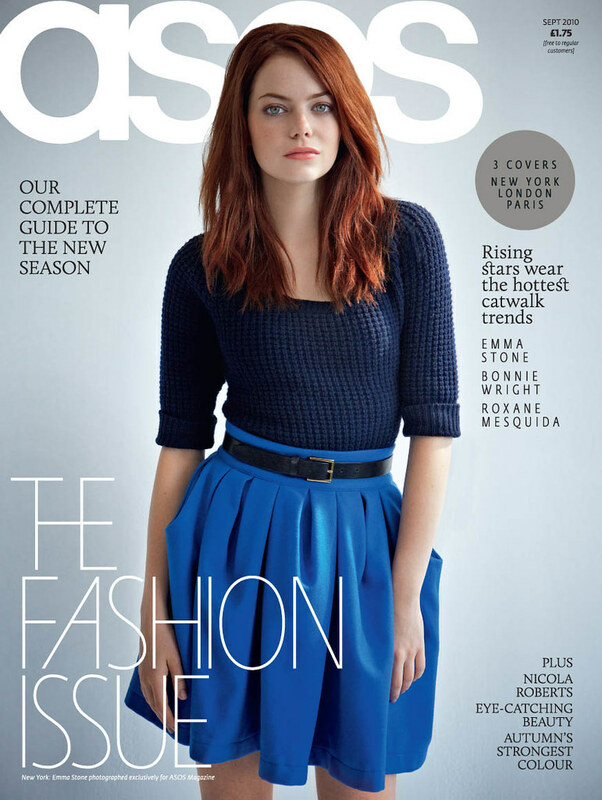 22 year-old actress Emma Stone (Superbad, House Bunny, Zombieland) has turned into a cover girl for ASOS’ New York September Fashion Issue. I love love love her photoshoot. Her look is really cute: the red-ish hair, the freckly skin and blue eyes. And the clothes are simple but beautiful, my favourite cover this month. Gossip Girl’s Jessica Szohr (most recently in the new film Piranha 3D) covers Nylon’s September TV Issue. I like her photoshoot, but she looks just like she does in Gossip Girl, that sort of sweet, fun, happy girl. I would have liked to see a different side to her, slightly more edgy, just like the clothes. Still, very cute nonetheless. For all Kate Moss lovers, the editorial does not disappoint. UK Vogue got 36 year-old Moss to model trends for A/W. She’s beautiful styled, and the simplicity of the shot (by Patrick Demarchelier) is stunning. Also, check out the Georgia Armani article about life for the 76-year-old designer. 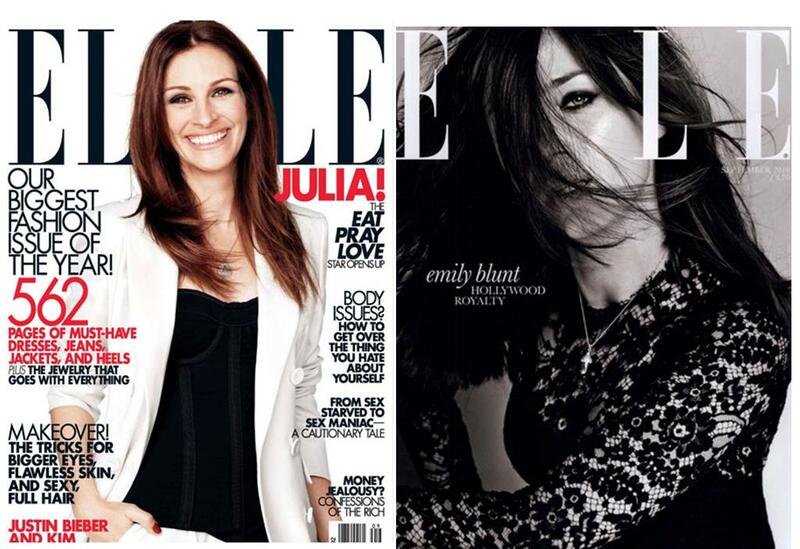 I love both Elle US and UK covers this September. I love the expressions in the Julia Roberts shoot for ELLE US. It’s so simple (monochrome outfits with happy expressions), and so gorgeous. And the exclusive subscriber cover for Elle UK is another of my most favourite September covers. I love the shot itself, with her hair covering her face and the glimpse of her dark eyes. Her interview is really inspiring too. She’s a quaint young English actress who is Hollywood’s next big thing. Love it.